Gymnast Schyler Jones performs on the beam at the 2016 USA Gymnastics Collegiate National Championship, where she earned three All-Around honors. TWU’s Pioneers performed at the 2016 U.S.A. Gymnastics National Championship, winning awards during the individual events and the team semifinals. For the past 24 years, the Pioneers have qualified for team finals. Unfortunately, that tradition was not continued this year. At the team semifinals, the Pioneers accumulated a season high of 194.275 points, finishing in third place behind Brown University, who had a score of 195.175, and Linwood University, who had a score of 195.150. While the Pioneers offered an amazing performance, collecting high scores and setting personal records, they did not advance to team finals but did advance to the individual event finals. Alderman reached a career high of 9.875 on the floor during semifinals. 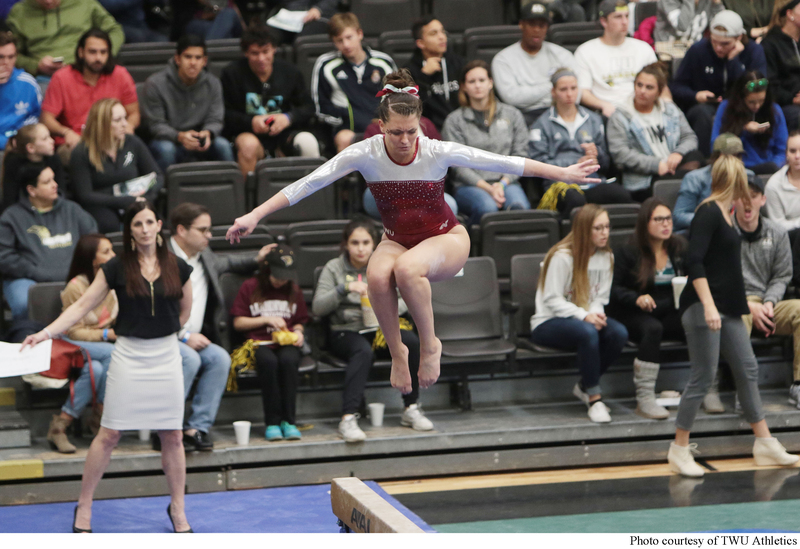 At the individual finals event, Alderman scored a 9.825 on the floor, placing in a three-way tie for eighth place with Bridgeport University and Southern Connecticut University. First-year students Cashmore and Gentry and sophomore Jones also advanced to the individual event finals. 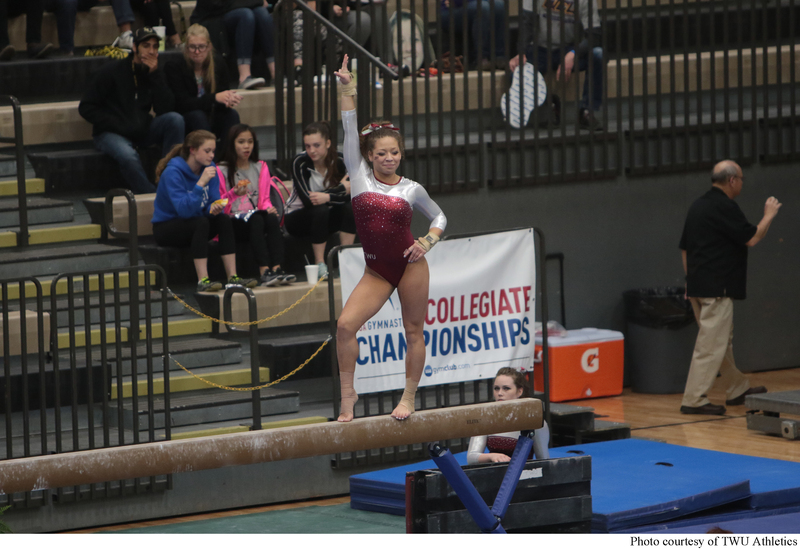 Cashmore and Gentry tied for sixth place with each other, both representing TWU with scores of 9.800 on the beam. Gentry also competed on the vault and earned a score of 9.775 and tied for eighth place with the U.S. Air Force Academy.